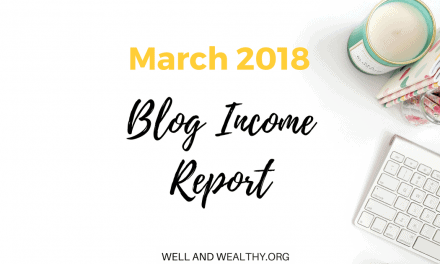 WELCOME TO WELL AND WEALTHY‘S ELEVENTH BLOG INCOME REPORT FOR APRIL 2018! 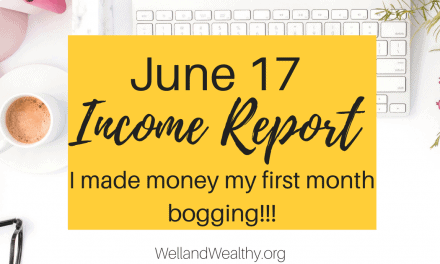 At the moment these income reports keep getting better and better and I really feel like I’m making headway now! 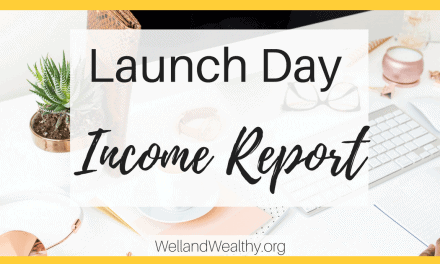 Looking for my most recent income report? 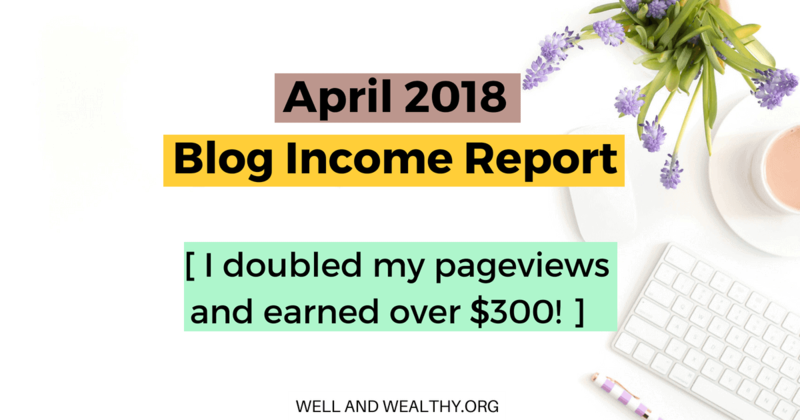 As of May 2018 all my latest income reports are shared exclusively with my subscribers! Sign up below if you want a behind-the-scenes look at how I make a full-time income from home, online! 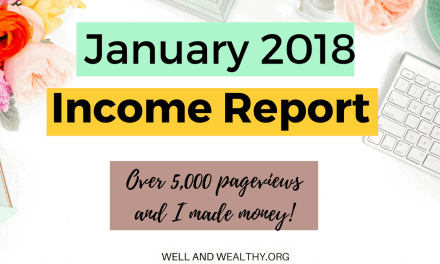 WHY AM I WRITING AN INCOME REPORT? This blog is all about education and my journey from quitting the 9 to 5 and making a living from blogging. I want to help you guys and I figured the best way to do that is to be honest with you, particularly about what I’m doing that works, and what I’m doing that clearly doesn’t. The best way to detail all that out is an income report. Now if you haven’t previously seen an income report before you’re probably a little confused as to why someone would basically reveal all their business’s finances to the world. But that’s what I love about blogging. It’s an entire industry obsessed with being transparent and helping one another succeed. 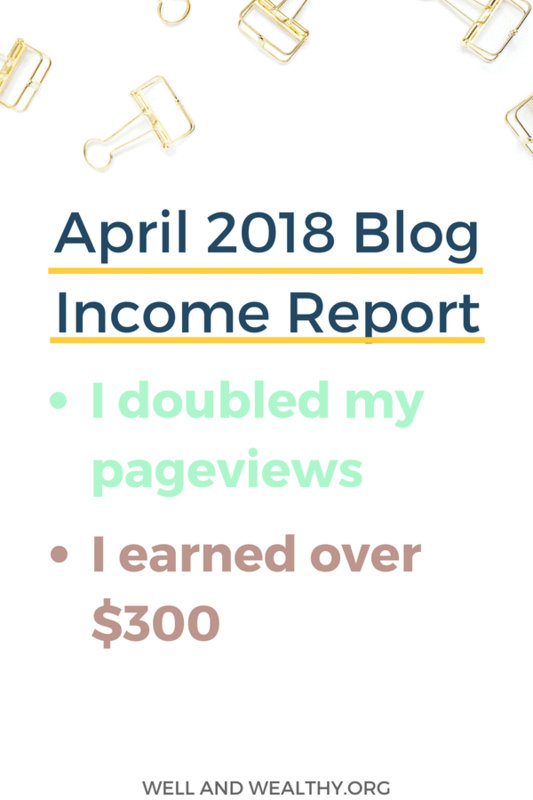 The income reports are not released to brag, they are there to help everyone see exactly how you make money blogging. And hopefully inspire them to see that it is possible to create a sustainable, authentic business that really helps people while supporting you financially! I’m actually writing this like a whole three weeks since April ended and it’s crazy hard to remember what happened! But I spent a lot of this month writing posts and then stuff got super busy with my VA clients, so no major blog updates just general chugging along and moving forwards. Checkout that viral!!! Oh yessss!!! Interestingly that traffic spike came from StumbleUpon, but more on that later. Here is my weekly traffic since I started the blog! That spike really is incredible isn’t it, and we can see that slowly but surely my traffic is increasing over time. Wow my social traffic has really jumped! It was only 2,460 last month!! !I’m also really pleased to see that organic search is also holding up. 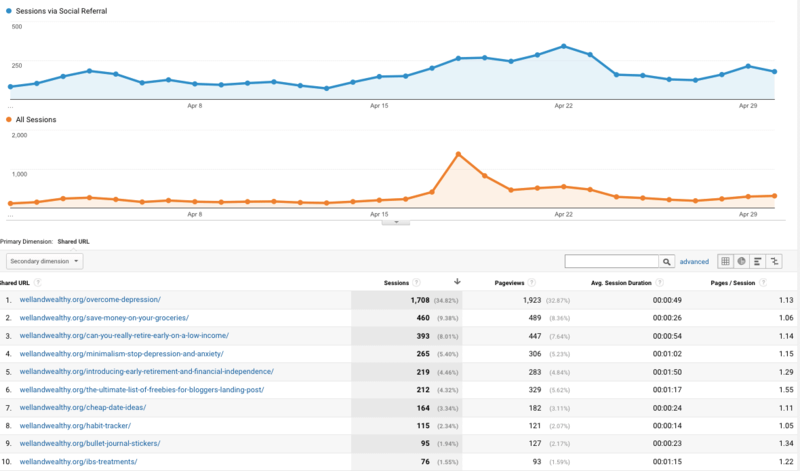 Check out how much traffic came from StumbleUpon this month, pretty cool right! Here is a screenshot of my traffic from Pinterest from Google Analytics. Below is a screenshot of my Pinterest average viewers. While my average monthly viewers is pretty similar to last month, my average monthly engaged has increased by 1,628, which means although my content isn’t being shown to more people, the people who it is being shown to are interacting with it more. I’m trying to post to Instagram but honestly the ROI is so poor I struggle to consider it a good use of my time! 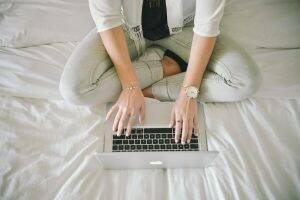 I kept my email marketing ticking over and actually started a second email list for my blog based more on the lifestyle posts I’ve been doing! Freelancing: From now on I am only reporting this when I receive the money. In case you were interested, since I started blogging £591.18 has hit my bank account! WHAT WORKED AND WHAT DIDN’T THIS MONTH? StumbleUpon worked brilliantly this month, as that was what was responsible for that big traffic spike I had! Now StumbleUpon is not known for being a sustainable traffic source but it can be great if your close to getting into a premium ad network like MediaVine, or if you just need the moral boosting effect of a big traffic spike! Set up an account on StumbleUpon, then come and follow me (okay that bit isn’t mandatory…) and make sure you fill out your interests. Then hit the big red stumble button and check out the different web pages that come up. Make sure you like a few relating to your niche that are of a good quality. For the first few days of stumbling the articles you get can be a bit hit and miss, so just persevere for a few days and it will learn what you like. To get traffic to my site I did a little more than just casual stumbling. I added some posts from my site to StumbleUpon. To do this head to your profile then click ‘Add a Page’, fill out all the details as accurately as possible and then submit it. My current stumbling routine has been to ‘stumble’ and like (thumbs up button) 5 to 10 pages, then I will add a blog post from my site, add a post from someone else blog, stumble a couple more articles, add another blog post from my site, add another post from someone else blog and stumble a couple more articles! Publish 6 posts under my organizing category – Nearly hit this one!!! Overall April was a fantastic month, but saying that I already know May blows it out the water!!! 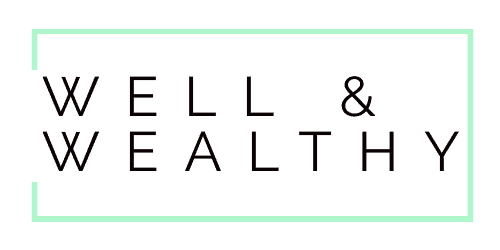 Any questions please ask away in the comments or email me at sammy@wellandwealthy.org! NextHow I Grew My Email List By 300 Subscribers In Just 14 Days With An Epic Blog Giveaway! Looks like having patience with Pinterest is definitely worth it. May have to check out stumble upon too. Hopefully it brings you more traffic next month. Pinterest is definitely worth the patience! Sadly StumbledUpon is no more, but they have moved onto a platform called Mix but I haven’t tried it yet! Glad to see your page views continue to grow, Sammy! 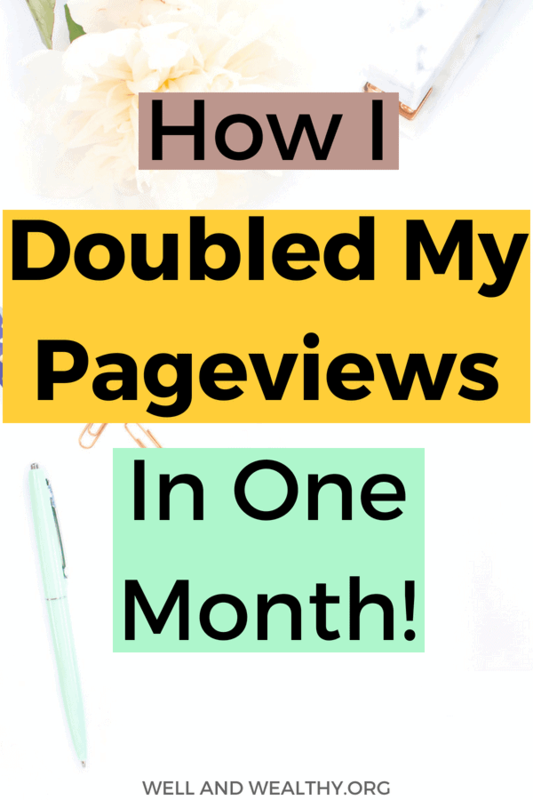 12,040 is a lot of page views in one month! I’ve never come close to that much. Congrats! I was doing really well at the beginning of this year but I slowed down the pace because of career related stuff. Now I’m finding my page views are slightly lower again. Sometimes I try to be too creative and use my own images, but it’s probably better if I improve my images like you suggested for Pinterest. Thanks for sharing!